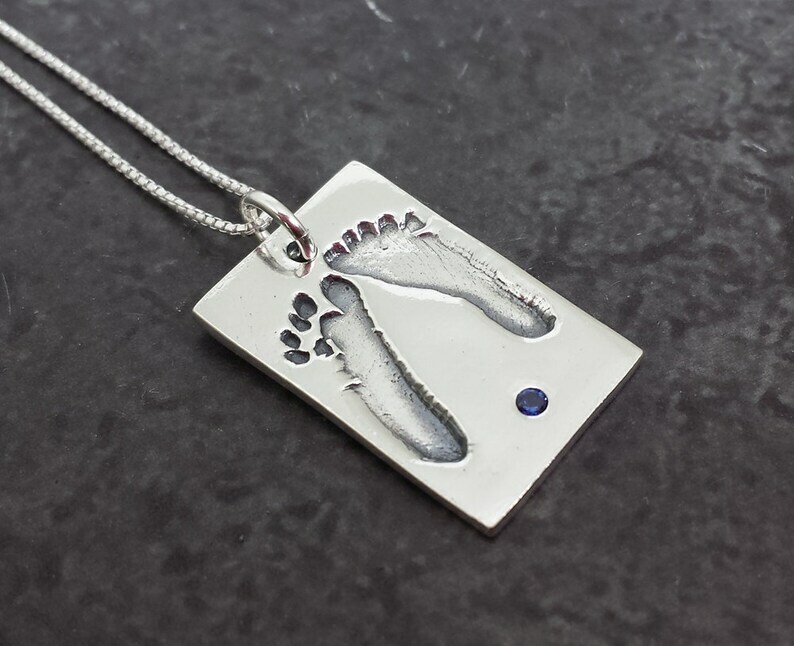 Your child's actual hand or footprint made into a beautiful one of a kind sterling silver charm necklace. Your child's hand or footprints on a rectangle charm with your choice a 2mm flush set birthstone on a 16" or 18" sterling silver cable, box or ball chain. Rectangle charm measures approximately 5/8" wide and 3/4" long and is created with .925 sterling silver metal clay. Shape and size will vary slightly due to the handmade nature. Created using your child's own hand or foot prints, our new custom print jewelry brings a whole new level of personalization to our jewelry line. We use only .925 sterling silver to ensure that your custom fingerprint piece will last for a lifetime! Unlike .999 fine silver which is softer and easily marked and scratched, our .925 sterling is hard and durable so your keepsake will look just as beautiful years from now! We do not etch your hand prints into the metal as this creates a very shallow impression that will wear down over time. We take your prints and create a unique stamp that we use to press your prints into our PMC Sterling. This produces a much deeper impression than etching that will hold up to wear much longer. 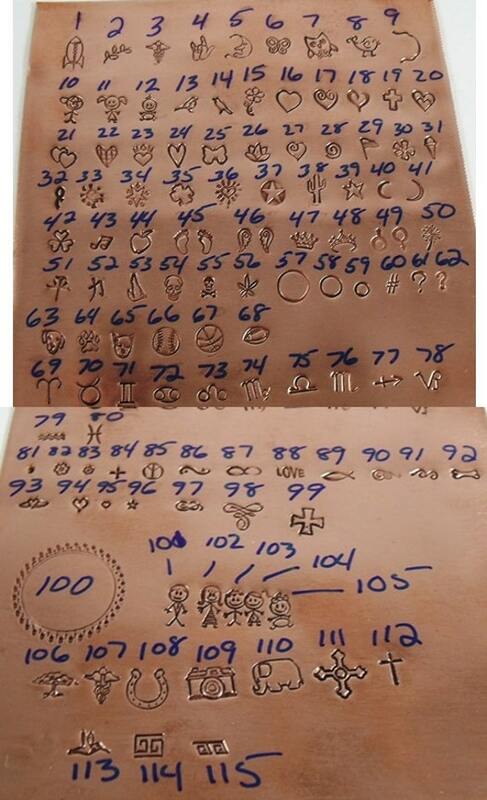 We can also turn a drawing or handwritten note into a beautiful piece of sterling silver jewelry! Contact us via Etsy convo with your ideas and we would love to work on a custom piece just for you! Option 1 (fastest) - If you already have your child's hand or footprints, you can mail us a black and white copy or if you have a high resolution scanner you can email us your prints. Scan your prints into your computer and save as a PDF or a high resolution jpeg file and email to sales [!at] charitablecreationsjewelry.com with your name and order number in the subject line. By purchasing this listing you acknowledge that you have read and agree to our shop policies. Love her work! Really cares about her products, responds quickly, and great customer service. Love my necklace!